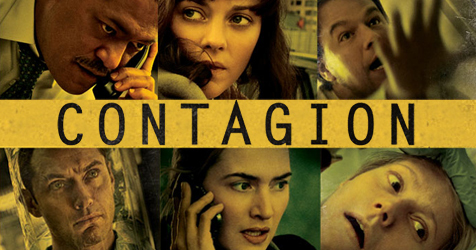 Remember the 2011 film Contagion starring Matt Damon and Gwyneth Paltrow? The film paints a horrifying scenario of a deadly virus spreading around the globe in a matter of days. The fictitious virus portrayed in the movie is actually based on the very real Nipah virus, a relative of Hendra virus. A reference in the film to research undertaken at our Australian Animal Health Laboratory (AAHL) in Geelong, Victoria, highlighted the role our researchers would play in a real-world version of this Hollywood disaster flick. Despite the usual Hollywood drama, there are very real virus threats like those portrayed in the film and AAHL is certainly well-equipped to handle them. AAHL is one of only a few labs of this kind in the world so it’s not surprising that the fictional scientists in the movie called on us. It is a high-containment facility designed to allow scientific research into the most dangerous infectious agents in the world. AAHL is what’s called a ‘Level 4’ biocontainment facility and we operate it on behalf of the nation. As the highest level of biological safety, a Level 4 lab consists of work with highly dangerous and exotic microbes. Infections caused by these types of microbes are frequently fatal, and often come without treatment or vaccines. 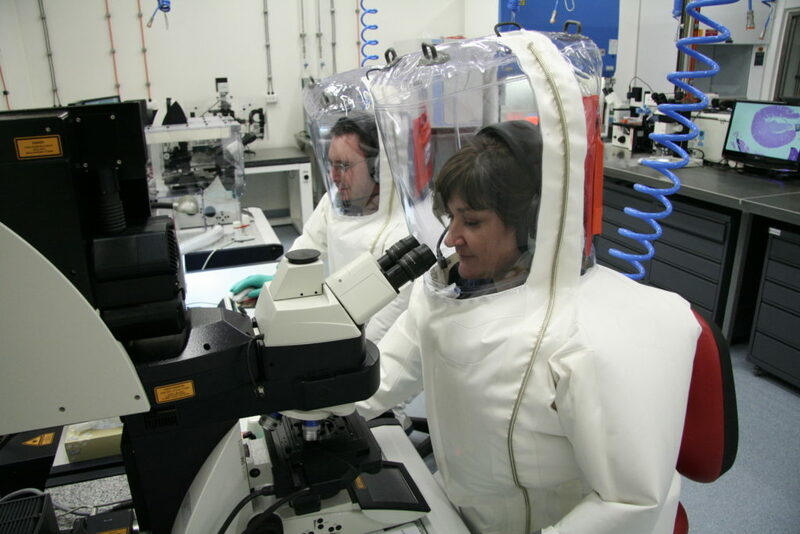 Inside the microbiologically secure area of the facility, the researchers working on these viruses are required to wear full body suits with air supplied to them through a tube into the suit. Researchers have to shower out every time they leave the secure area to ensure complete containment of any possible microbes. AAHL has been built on a box-within-a-box principle. This means that all physical containment systems are duplicated or triplicated to ensure there is always another barrier in place should one fail. 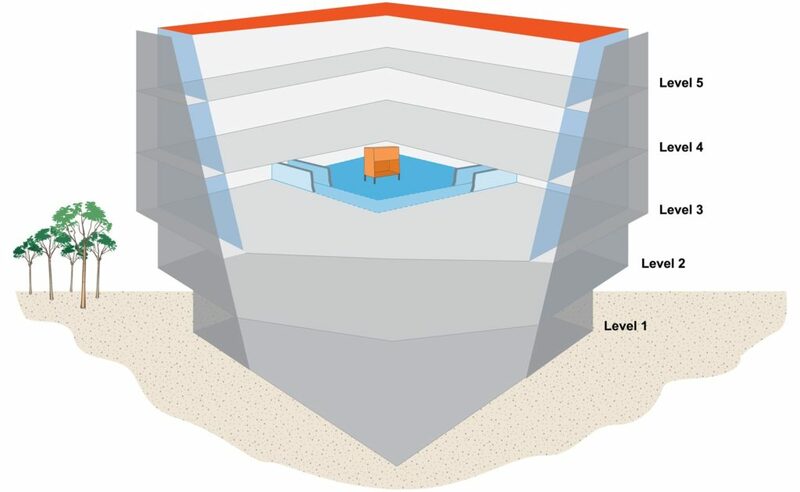 The main building has five levels, four of them inside the microbiologically secure barrier. A 30cm thick concrete wall forms an airtight ‘box’ around the secure area. All of the secure area is held at a lower air pressure than the outside world, to keep any possibly airborne infectious agents inside the lab. Within the secure box are a series of smaller secure boxes, each with a drop in air pressure. The air pressure is controlled so that air will always flow in toward the highest containment zone preventing any leakage out. Most things that enter the secure area never leave, but those that do must first be treated. The air leaving the building is filtered, twice, to remove infectious aerosols. All equipment leaving the secure area is sterilised by autoclave or gas decontamination. Information is transmitted electronically as even books and papers cannot be removed from inside the secure area. Staff and visitors enter the secure area with nothing – not a stitch of clothing or even a mobile phone. They receive laboratory clothes on the other side to wear when entering the secure area, but they must leave these behind and shower for a minimum of three minutes before exiting via a secure airlock. If you wear glasses they have to be decontaminated in a chemical solution. Luckily, Australia is relatively free of the many animal and human diseases found in other parts of the world but there is still a risk that an exotic animal disease could be introduced. In 1994, a deadly new virus emerged which was later named the Hendra virus. AAHL has been actively involved with research on this virus and our scientists helped develop the first ever vaccine for horses to help prevent the virus being transmitted from horses to humans. And new infectious diseases, such as new strains of avian influenza, pose a constant threat to the health and wellbeing of animals and humans and pose a risk to Australia’s environment, industries and trade. Researchers at AAHL also work on solutions for global virus epidemics like Ebola, Zika and Nipah. Having a facility like this on our doorsteps means we can be prepared for biosecurity threats to Australia as well as helping to protect the world from dangerous disease outbreaks. Fascinating article. I thoroughly enjoyed reading it. Thank you for the insights and to those who do a very risky job to keep our home safe, even if they are so very well protected. Fantastic lab, I worked there as Personnel Manager 1988-93. Really inte5resting laboratory that does lots of very important research AND it’s not science fiction at all. A fascinating article, I loved reading the details about what is involved in working in this laboratory and the important work they do. Thanks. What a great insight into one of our facilities. Very interesting. I walked through the labs with others, before it was initially activated. Awesome, would be my description.